Sarasota Florida, A Tropical Vacation Playground In Paradise! 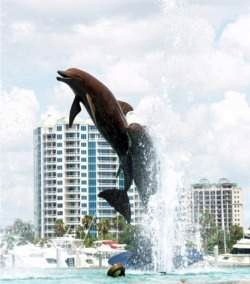 Escape to Sarasota Florida & Experience the Magic of Our Tropical Paradise! Sarasota, Florida may be nestled quietly on the shores of the Gulf of Mexico but it sparkles like a gem, in a beautiful setting, to those who know about it. 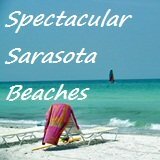 Beautiful beaches along with nature's tropical beauty, attractions, activities and unique events and places all combine to make Sarasota a fabulous "destination" spot. Hi there! I'm John Dial. 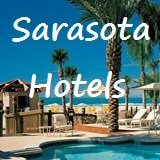 I publish this site and I can tell you that whether you are about to be a first time visitor to Sarasota, now in your vacation planning stage, a returning "snowbird," or a year long resident, you will find much to explore on this site and you're welcome to stay, browse and read for as long as you like. If you're an aspiring traveler to our gulf coast mecca, sunny Sarasota, Florida, you’ll find there's more to explore and more to do than you’ll have time for. 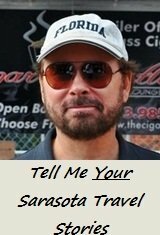 As a full time resident, year round explorer and beach comber of the Sarasota, Florida sun coast, you will find a lot of what I have done written about here; it's a sort of travelogue, personal journal and review of my adventures. 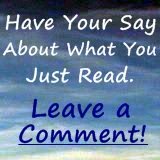 You can even write your own Sarasota, Florida travel stories that will post on my Blog for all to enjoy. In March, 2017 U.S. News and World Report named Sarasota the best place in Florida to live and 21st in the nation in its "Top 100 places to live in the U.S." The magazine cited its reasons: "Warm temperatures year-round, award-winning beaches and a thriving arts and cultural scene have made Sarasota a go-to place for retirees and families, not to mention a handful of celebrities." Not only is our sun coast blessed with bright Florida sunshine and warm weather most of the year (our average year-round temperature is 71 degrees), it also boasts 6 barrier islands: Anna Maria Island, Longboat Key, Siesta Key, Lido Key, Casey Key and Venice Island. 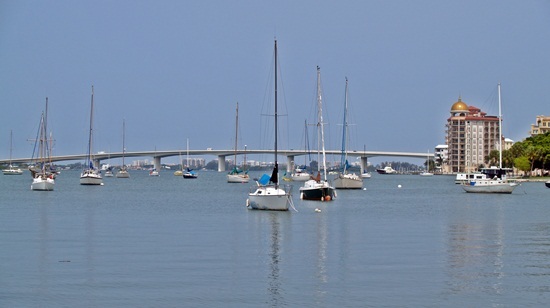 Sarasota, Florida: Adventures in Paradise! ...or just take in the spectacular natural beauty all around you. With over 35 miles of beautiful sandy beaches within the region, you'll find they all have sparkling crystal clear azure water that's as warm in the summer and breathtakingly beautiful as any beach in the Caribbean.You'll want to explore them for hours. Also, our Siesta Key Beach has been TWICE named the #1 beach in the nation by Dr. Beach for it's "super-soft, super-fine, sugar-like" sand in his ranking of America's top 10 beaches. It would be a tough task to find a better beach in the USA! 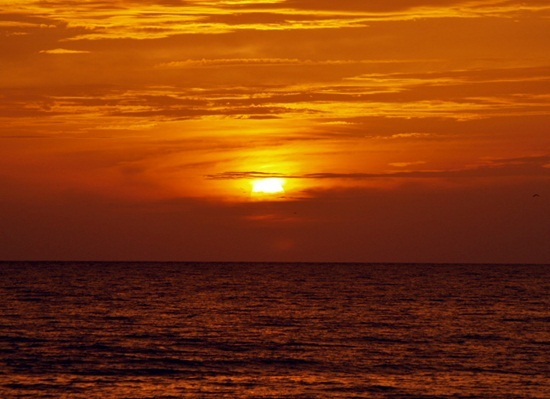 ..but all have one thing in common: beautiful views of the Gulf of Mexico and spectacular sunsets. In case you miss one I hear there’s another one tomorrow night. I'll let the sun know you're coming! Even though we have a Key named Siesta, this is not the "sleepy" beach side community that you may have heard it is. While it once may have been exactly that long ago, it is now known as a place to be and be seen, especially during "high season." And especially on Siesta Key Beach. The Sarasota, Florida area is also a haven for big name celebrities. You never know whom you might be waiting in line with or whom you might bump into in Sarasota and around the Suncoast...otherwise known as our little slice of paradise! Our little slice of paradise also comprises smaller towns like Bradenton, Osprey, Nokomis and Venice. And these little towns have some fun places to explore as well. 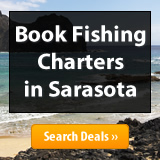 And, with so many Sarasota attractions and events from which to choose, from the annual Sarasota Boat Races & Offshore Racing Festival, to blazing your own trail through Myakka River State Park, you can do as much, or as little, as you desire. A great time and place to think it over and make your plans is while strolling one of our fabulous beaches. With Palm Tree lined streets and gentle, balmy breezes blowing in off the Gulf of Mexico, even a walk through the shops and streets of downtown Sarasota, Florida, the Saturday Morning Farmer's Market or through downtown’s Bayfront Park, taking in the scenery and boats anchored in the bay, or perhaps sighting one of the bottle-nosed dolphins that makes the bay its home, is simple, inexpensive fun and relaxation. Plus, here's a little known fact: Siesta Key is a great college spring break haven; one of our best kept secrets! I’ll show you some really unique places; at least one off-the-beaten-path beach, which just so happens to be my favorite (No, it’s not World Famous Siesta Key Beach – but I will take you there, as well as many other beaches!). 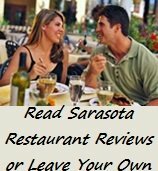 I’ll point you toward some terrific Sarasota restaurants, tucked away in places you might not know to look for. Plus you’ll find information about some of the special events that go on around Sarasota throughout the year. After all, you might find a special event that you would like to come back for. I’ll also point out a few places within easy driving distance that make for great road trips outside of our area. They’re easy enough to get to and back from in a day, so you won't miss out on one of those gorgeous gulf coast sunsets. Subscribe to my Sarasota Blog. (It's free and there's no email address required. Just click on the red RSS box for instructions.) This RSS feed is a small blog/journal about Sarasota (a kind of mini-travelogue I put together), which will also let you know whenever new or updated web pages appear on Escape-to-Sarasota. 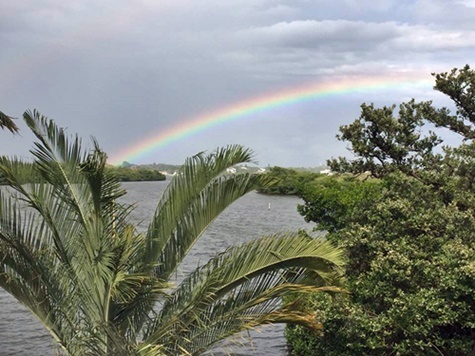 It will also help you feel connected and up-to-date with some of the events and other things going on in and around the Sarasota area. And it will help point out, in bite-size pieces, things that you might be interested in reading more about on Escape-to-Sarasota as you plan your trip(s) to the Sun Coast area. 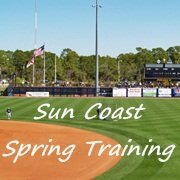 So, grab your sunscreen and sun hat and appetite for some great food and fun and let’s go explore Sarasota, Florida...a Playground in Paradise!